14.383333333333-89.1166666666671 El Pital (highest mountain in El Salvador) and its rural life. August 1-7 August Carnival Fiestas Agostinas Week long festival in celebration of El Salvador del Mundo, patron saint of El Salvador. 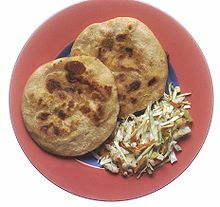 December 31 New Year's Año nuevo Salvadorans stay up on December 31st until midnight to welcome the New Year the same way as Christmas (You can hear the deafening sound of the firecrackers on both days all over the country). Pullmantur, Sheraton Presidente San Salvador @ Ave De La Revolucion, Col. San Beneito, ☎ +503 2526-9900. They serve San Salvador, Guatemala City, Tegucigalpa, San Pedro Sula, Managua and San Jose. Trans Galgos Inter, 7a Avenida 19-44 Zona 1, Guatemala City, ☎ +502 2331-4279, +502 2361-1773. departs 13:00. Once daily departures to Tapachula via Retaluleau and Coatepeque (up to $43 one way) on one route and to Guatemala City ($13 one way) on another. Passengers transfer in Guatemala City to get to Quetzaltenango/Xela. Platinum Centroamerica (King Quality), (Centro) 19 Avenida Norte y 3era. Calle Poniente; (San Benito) Boulevard del Hipódromo, Pasaje 1, Local 415,, ☎ +503 2281-1996, +503 2241-8704, +503 2241-8787. They serve San Salvador, Guatemala City, Tegucigalpa, San Pedro Sula, Managua and San Jose. Comfort Lines, (San Benito) Boulevard del Hipódromo Pasaje No. 1, 415; (Centro) 19 Ave. Norte y 3ra. Calle Poniente Esquina (ex Shell gas station), ☎ +503 22418713, +503 2281-1996. Only between Guatemala City and San Salvador. $25 one way or $50 return. Ticabus (Transportes Internationales Centromaericanos), (San Benito) Boulevard del Hipódromo Local 301; (Hotel San Carlos) Calle Conception 121, ☎ +503 2243-1188. 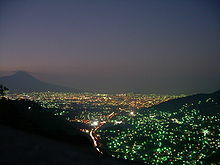 The next stops from San Salvador are in Guatemala City, Tegucigalpa and Managua. They travel to the major cities in all countries in Central America except Belize. Transportes del Sol (Av La Revolución No 159-A, San Benito), ☎ +503 2133-7800. This country travel guide to El Salvador is an outline and may need more content. It has a template, but there is not enough information present. If there are Cities and Other destinations listed, they may not all be at usable status or there may not be a valid regional structure and a "Get in" section describing all of the typical ways to get here. Please plunge forward and help it grow! This travel guide page was last edited at 15:44, on 21 February 2019 by Wikivoyage user Mx. Granger. Based on work by Wikivoyage users Ypsilon, Traveler100bot, DaGizza, Hobbitschuster, AndreeBot, Matroc, Kiaora, AndreCarrotflower and Wrh2Bot and others.